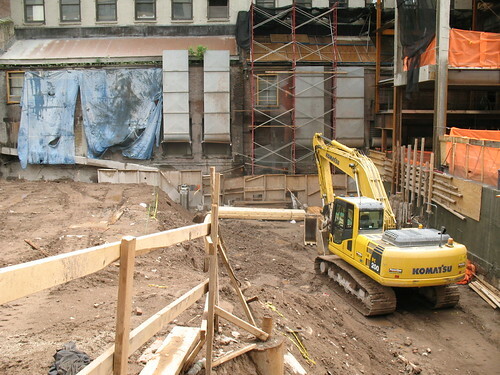 Probably only for excavation / foundation / underpinning -- all of which can take place before permits for new above-ground structure are issued. Im excited about this one, Herzog's unique style will create something interesting! 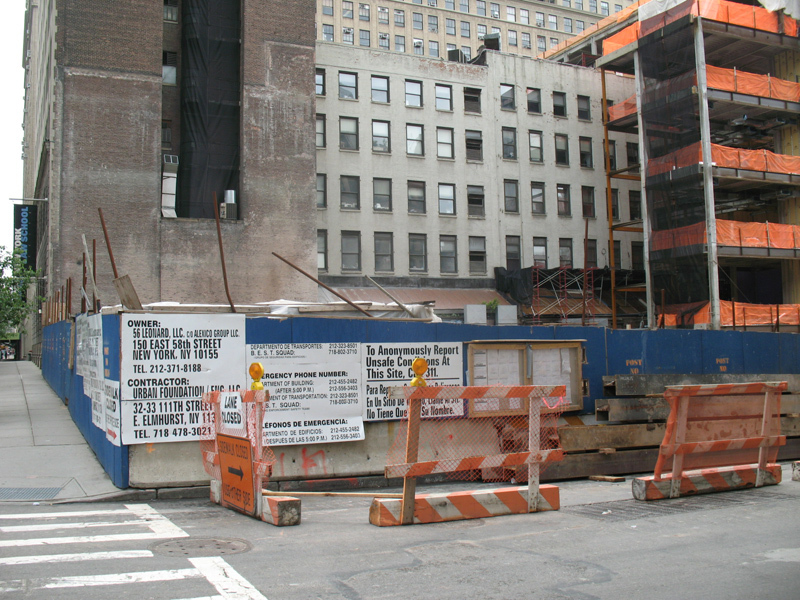 New NYLS building framed at what was the parking lot entrance on Worth St. Still no renderings or info on this one? How is it progressing? Buying at 56 Leonard . . .
Corcoran Sunshine is keeping this one wrapped up pretty tight. "On sale this summer at at least $2,500 a square foot" is all that I have been able to get out of them. I guess this will be one of the first places to look for a rendering. Thanks, it says coming soon... . Oh well. Took a month for someone to respond to that. 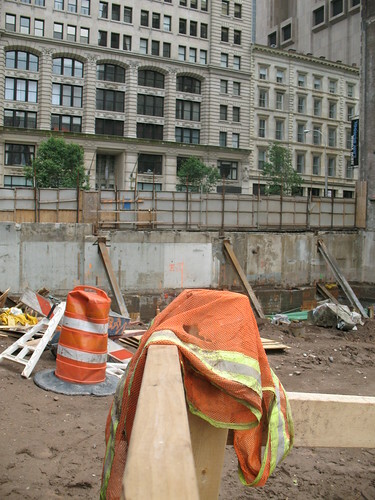 I pass by the site occasionally, doesn't seem to be changing much. The Swiss architecture firm Herzog & de Meuron has been enlisted to design a new residential tower in TriBeCa that will incorporate a monumental public sculpture at ground level by the artist Anish Kapoor, the project’s developer said. The real estate company Alexico Group, which also developed the Mark Hotel, said a design would be released in the fall. The tower is to rise at the intersection of Leonard and Church Streets, and the sculpture will be fully integrated into the architecture. Mr. Kapoor, who was born in India and lives in London, is known for vast public sculptures like “Sky Mirror,” a convex stainless steel reflecting sculpture that was installed at Rockefeller Center two years ago. Herzog & de Meuron’s many projects include the new national stadium for the 2008 Olympic Games in Beijing, the Tate Modern museum complex in a former power station at Bankside in London, and an expansion of the Walker Art Center in Minneapolis. Stanley Cutchins, 68, from Yonkers, slowly surveyed the corner of Worth and Church Streets early one Saturday morning last month. In his mind’s eye this is what he saw. 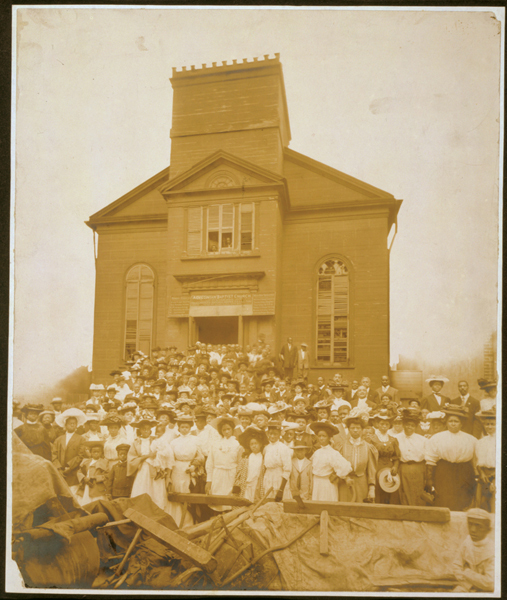 Cutchins, along with more than 300 of his fellow parishioners, had come to 40 Worth Street on June 7 to celebrate the 200th anniversary of the Abyssinian Baptist Church, which had indeed started here, in a small wooden building in 1811, 16 years before slavery was abolished in the city. They gathered at 8 a.m. to unveil a small plaque on the building that commemorates the history of this prominent African American institution, then began an 11-mile walk to their present home on 135th Street in Harlem. Along the way, they would make two more stops at former homes of the church. Although the walkers would be making their pilgrimage under a cloudless sky with the temperature reaching 90 degrees, everyone was in high spirits. “We’re retracing our steps for all our ancestors who were part of this church,” Bragg said. Before the walk began, a microphone and small stage were set up in the building’s doorway and the Rev. Calvin Butts, the church’s prominent spiritual leader, spoke to the crowd. And together, they set off up Church Street, following the footsteps of their history. to 166 Waverly Place (pictured) and then farther north to West 40th Street in 1902. 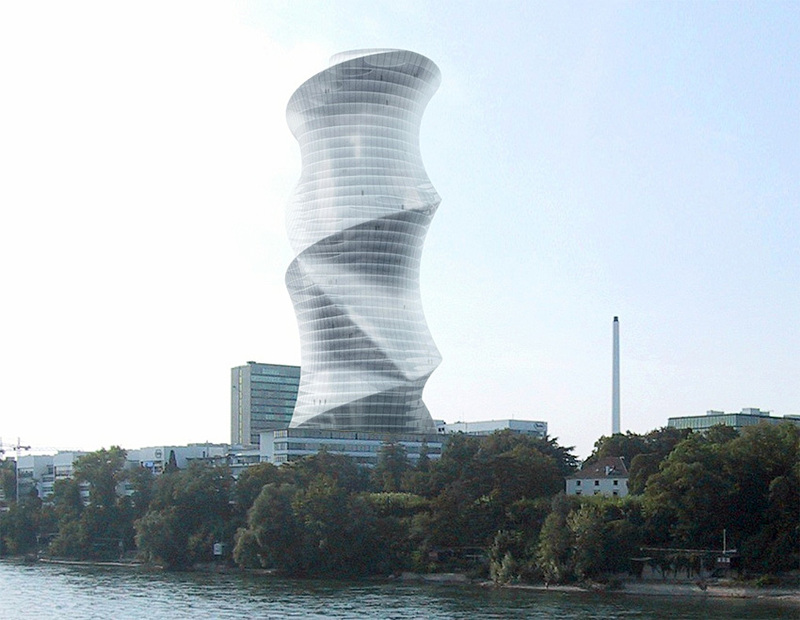 This building by Herzon & De Mueron is rising in Basel. It would be nice if we get something this awesome at 56 Leonard. Don't hold your breath lol. Should have chosen a more simple buff limestone, rather than a travertine-like polished stone. More steel, but not the tower. I need to vent. Law school is becoming more and more a glorified money laundering scheme. I'll explain. Maybe this would be tolerable if the quality of education and/or work by recent grads was increasing. However it's actually flat to decreasing - and this dynamic is not unique to the field of law. I'm a huge fan of making education available to all but the present construct is placing an unnecessary tax on the economy. There needs to be some type of free market mechanism put in place to keep this mess in check. My solution would be to make the educational institutions share some of the risk associated with the massive amount of student debt they are causing - these schools need to be on the hook in some capacity for at least some of the borrowing students' debt. The current construct just does not work b/c consumers (students) have basically no power to dictate asset (tuition) pricing. Contrast this with the mortgage lending industry where consumers of real estate have significant power to dictate asset (building, land) pricing.